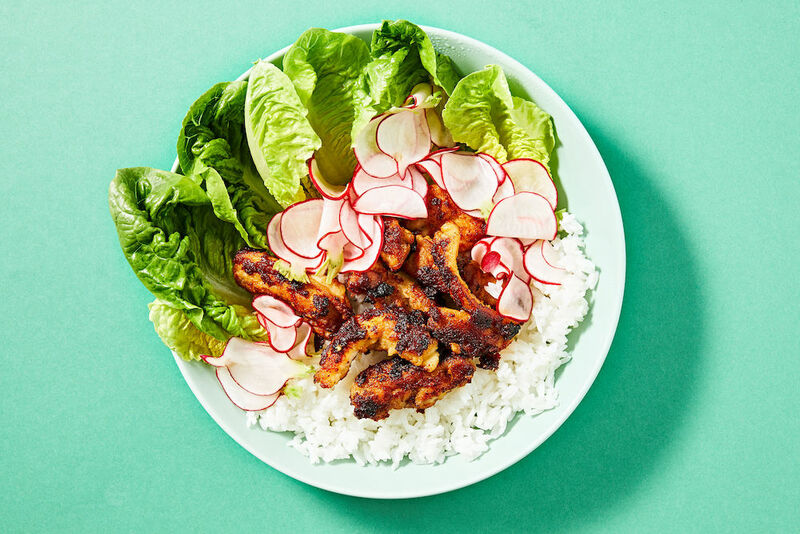 April has arrived, which means the weather will be getting colder and families will be prepping for Easter, but it also means there are now 8 new Dinnerly recipes every week to drool over! As we say farewell to the first quarter of the year, our culinary wizard Yasmin has picked 4 of her favourite meals on the Dinnerly menu this month. This week, Yasmin is putting the spotlight on her top 4 favourite meals on the Dinnerly menu this month. Happy cooking! Right as the weather starts to cool, this comfort-food classic is perfect for the whole family to dive into. 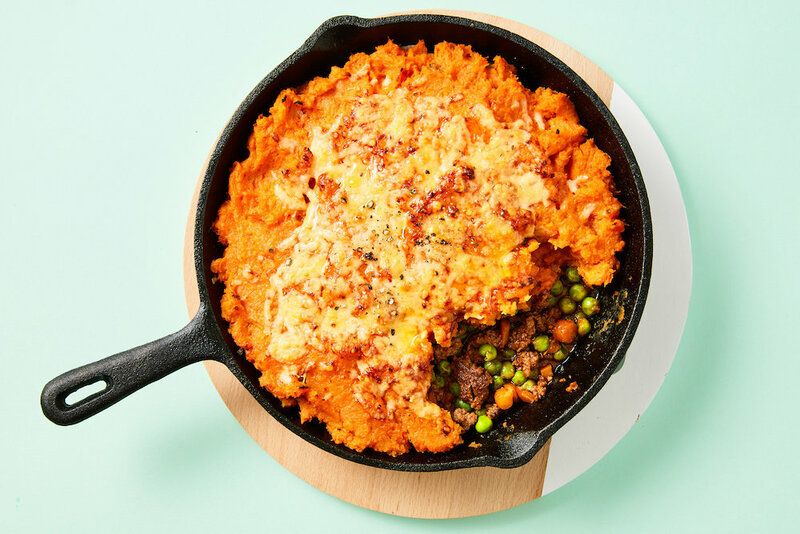 Topped with creamy sweet potato, simply melt our golden grated cheese and serve in the same pan. This cheesy winter warmer is available the week 1/4. A hearty bowl of pasta is the ultimate crowd-pleaser. 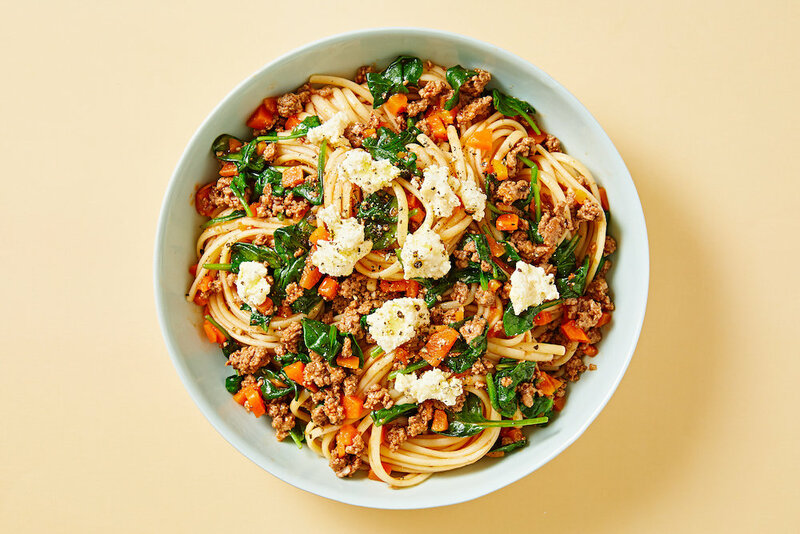 Ratchet up the flavour with a rustic Greek-style lamb sauce, baby spinach and everyone's favourite cheese, feta. This Greek twist on an Italian classic is on the Dinnerly menu 8/4. 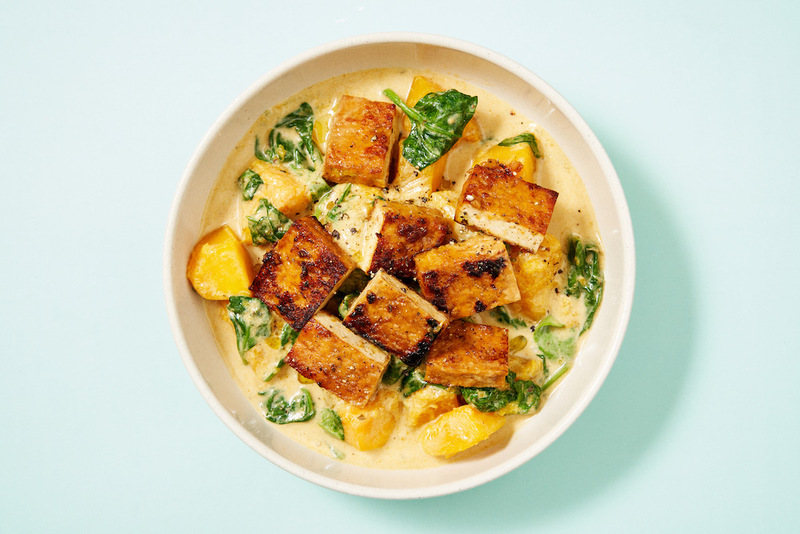 As comforting as a hug, this curry bowl wraps buttery pumpkin, marinated tofu and spinach in a luscious mild Indian masala and coconut sauce. Plus it’s fast to prepare and healthy! Warm your belly and soul with this curry the week of 15/4. It doesn't get better than a plate of tender chicken coated in sticky sauce. Just add steamed rice, crunchy pickled veggies and lettuce cups for wrapping and awesome rice bowl. Dinnerly customers can cook up this sticky, delicious, bowl of goodness the week of 22/4. Missed a recipe you love the look of it? Get it on our app in our food library! Download on our app on iOS now - Android coming soon! © 2019 © MarleySpoon PTY LTD. All rights reserved.